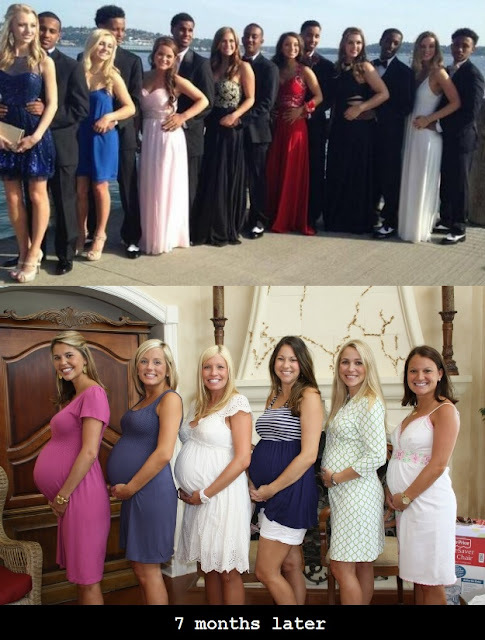 The only girl not shown in the bottom photo is taking the picture -- so yeah, she's knocked up, too. Beautiful white girls with good looking niggers at hte prom? You're going to end up with swole bellies. Fact of life.